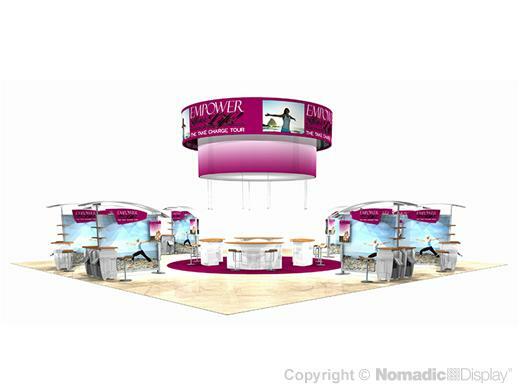 With Nomadic Display trade show booths you benefit from the ability to enhance, expand and repurpose your properties to fit multiple applications so your 50' trade show display delivers a life-long return on your investment. Our custom modular trade show booths feature the most upscale accessories such as: bold overhead messaging, hanging signs, high impact trade show graphics, interactive A/V workstations, semi-private meeting areas, free-standing display counters for showcasing products, radiant trade show lighting solutions and locking storage. 10 - RollMax Case - 60.50" x 34" x 56"